Last weekend Tolar and I finally had a free Saturday to do projects around the house and we decided to tackle the chevron wall in baby girl’s nursery and I am quite happy with the finished product! I taped the wall and Tolar painted. We make a pretty good team. I still have some items to get for the nursery (the bedding should be here very soon), so I’ll do a full reveal of the nursery here on the blog at a later date. 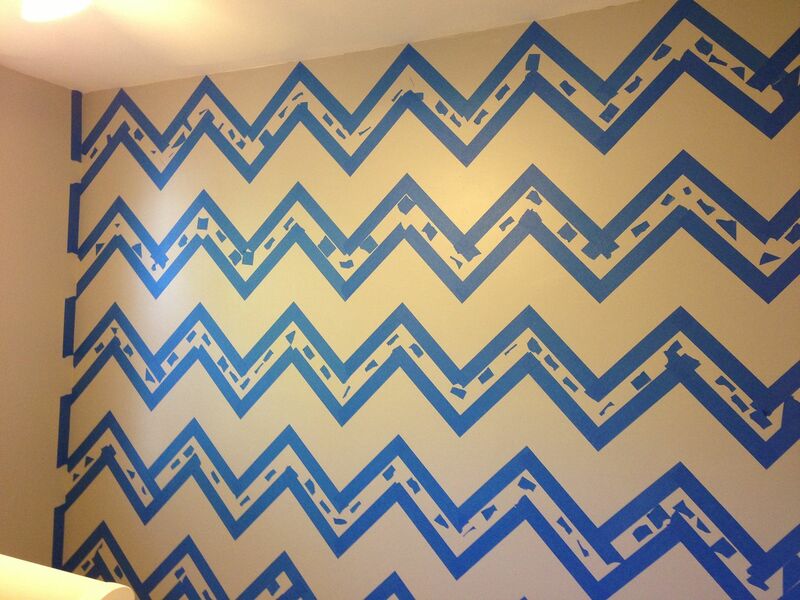 But for now, everyone can enjoy how we painted the chevron wall. To start with, I did a bit of internet searching to gain some tips from others who have done a similar wall. I used this post from The Chronicles of Ruthie Hart and this post from Project Nursery. Both sites had different ways of prepping the wall/pattern so I used a few tips from each plus some creativity from yours truly. 1: Determine what kind of chevron you would like. How wide and how long do you want the stripes? I didn’t want anything too big and bold, so I first decided on 8 inch stripes, however after discovering my secret weapon (below) my measurements turned into 8 and a half inch stripes. 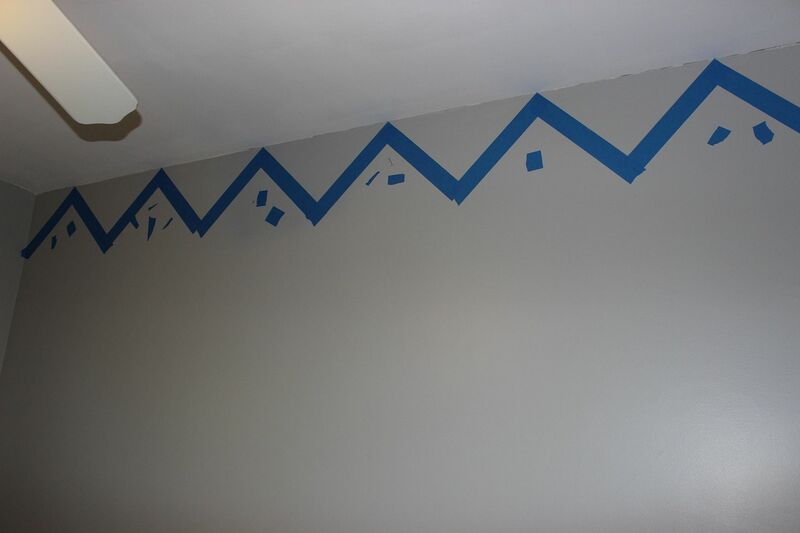 4: I then traced triangles right next to each other and taped off the entire top row, so I had a guide for the rest of the wall. I did make sure the bottom of the angle square was level before tracing every single time. 5: To get the points perfect, I used my retractable knife to cut the excess tape. A great tip that I learned from The Chronicles of Ruthie Hart is to place the excess pieces of tape inside the portion of the wall you don’t want painted. That was Tolar’s “do not paint zone.” Trust me, with all of the zig zags, it can get quite confusing where you should paint. 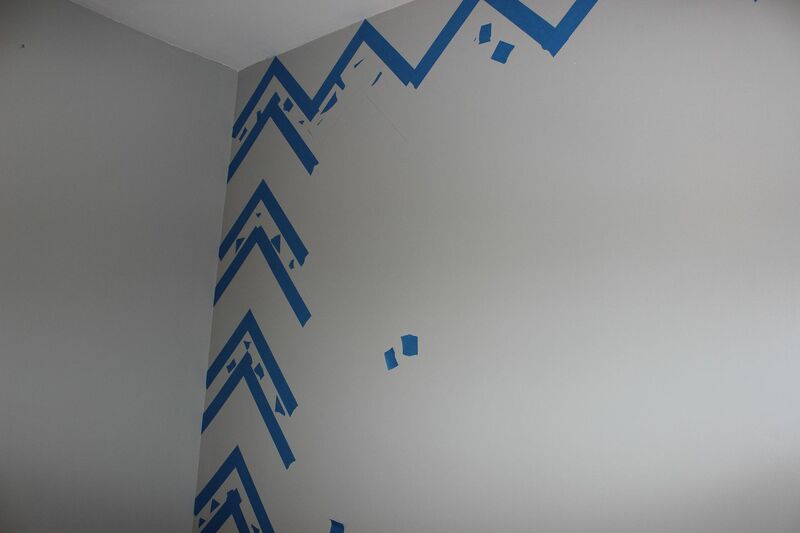 So having the excess tape sprinkled throughout the wall really helped him know where he should paint. 6: So once I had the entire top row all traced and taped, I decided to come back to the left side of the wall and tape all the way down. I found it easiest to measure and trace everything first then go back and tape. That way I didn’t have to shuffle five different items at once. I simply placed my angle square back in the lines already traced and then put a dot below where the 45 degree mark was. The angle square was 8 and a half inches wide, so that is where I found my measurement for how wide the stripes would be. 7: So once the taping was complete it was time for Tolar to paint. He applied two coats to make sure everything was even. The colors we used were both Valspar: light grey is Urban Sunrise and dark grey is Mark Twain House Ombra Gray. 8: We only left the tape on for a little while (maybe 8 minutes) after Tolar finished painting because we didn’t want the paint to pull. So off came the tape and our master piece was revealed. We had a few touch up places to fix, but other than that it looked great! -Be prepared to have a full morning available. The taping took me almost 4 hours to complete. If you had someone to trace and someone to tape, it would take less time. But I must admit, I was honestly shocked when I realized almost 4 hours had passed – it didn’t feel like that long. -If you are perfectionist like me, you must abandon some of your qualities at the door. Yes, I made sure everything was level and straight, but there were some pieces of tape that I didn’t get cut perfectly. However, with the chevron pattern you sure can’t tell. It’s like an optical illusion. -Give yourself a do not paint zone, that way your painting will be completed quickly without having to figure out if you are supposed to paint a certain line or not. 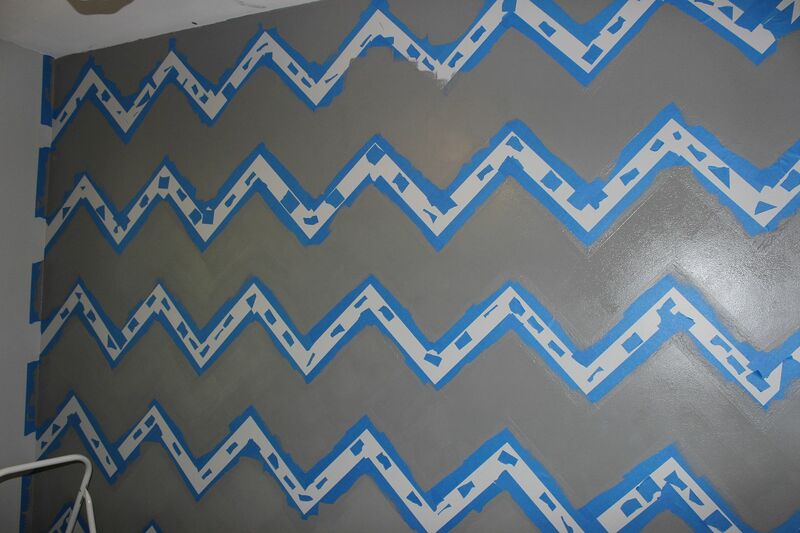 -Use a smaller paint roller if you have smaller chevron widths. With 8 and a half inches, we definitely needed the small roller. 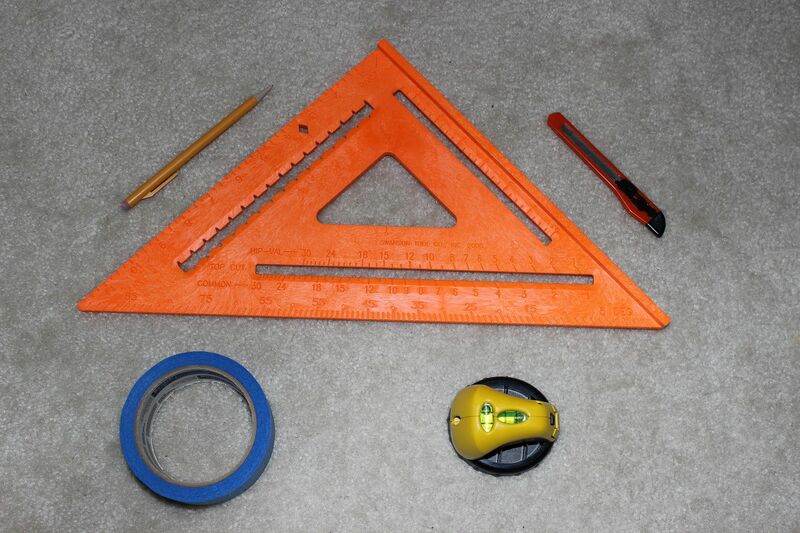 -Tracing my angle square was a huge time saver and didn’t cause me any stress trying to figure out how to measure. I used a pencil so I could erase the marks, but with the dark grey color, the paint went right over the pencil. So there you have it! A simple tutorial that took only one Saturday morning to complete. If you have any questions, please leave them in the comments section below. I’d be happy to answer them. And stay tuned, the nursery reveal will appear on Pursuit of Pink as soon as I have everything complete! It looks fantastic! That angle square is GENIUS!! I can't show Jon lol! oh my gosh this is AMAZING!! y'all do make a great team! looks fabulous! Lucky little girl you have there! The finished wall looks AMAZING! I've always wanted to do this after doing this on some boards that hang in a series on our living room wall. Pinning this now! 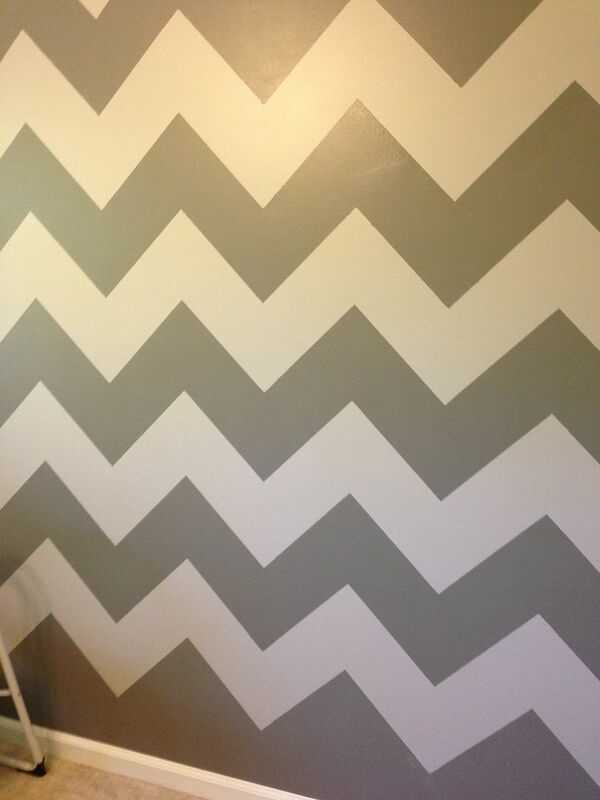 What a great way of doing a chevron wall!!! It actually makes me want to try it now. Before I thought it was much work, but this way seems a lot more manageable!